TEN-E Packaging Services is recognized worldwide for helping organizations understand complex UN and DOT Regulations and to perform testing that both meets compliance requirements and improves the long term performance for your products and packaging. TEN-E Packaging Services is recognized by the U.S. Department of Transportation to certify your non-bulk and bulk dangerous goods packaging designs. Category A: An infectious substance in a form capable of causing permanent disability or life-threatening or fatal disease in otherwise healthy humans or animals when exposure to it occurs. Category B: An infectious substance that is not in a form generally capable of causing permanent disability or life-threatening or fatal disease in otherwise healthy humans or animals when exposure to it occurs. No person may offer for transportation a new lighter design without subjecting the lighter to the weight loss and examination test outlined in 173.308(b) of Title 49 CFR. This testing must be conducted by a DOT recognized Lighter Certification Agency. 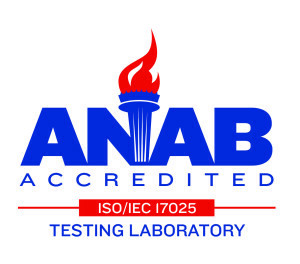 TEN-E Packaging Services holds Lighter Certification Agency status and can assist you with obtaining an LAA number as well as certifying your lighter packaging to the Part 178 performance test standards. Determine the chemical compatibility and permeability of liquid hazardous materials packaged in plastic packaging and receptacles. Test Method 1: 180 days at a temperature no lower than 18ºC (64ºF). Test Method 2: 28 days at a temperature no lower than 50ºC (122ºF). Test Method 3: 14 days at a temperature no lower than 60ºC (140ºF).